Started running 4 years ago at 57 and a mere 3 years later holds mulitple TSO medals, 10 National Championships and a WORLD RECORD! I started running 4 years ago at age 57. I was introduced to track through the TN SR OLYMPICS the following year and due the level of professionalism among the Staff and the incredible support from fellow athletes, lead me to 10 National Championships and a WORLD RECORD a mere three years later. David Schmanski & 3 other World class Champions Just broke the American and World Records in the 4 x 800m World Record (23 year old record) at the USATF National Championships in Jacksonville, FL. David Schmanski's team included World Class Champions and World Record Holders: George Haywood, Horace Grant, & Steve Chantry. At this event, David Also won the 2015 National 800m title, and beat his teammate and current indoor World Record Holder, Horace Grant. The Road to a World Record. In a recent article by WR holder George Haywood titled "It is far harder to get to the starting line, than it is to the finish line", A reality check brought this into focus as David Schmanski, a twenty year Nashville native, boarded a plane to the Potomac Valley Track club in Alexandria, VA. in a bid to break the World Record for the 4-man 800 meter relay race, on June 27, 2015. The race hosted runners of all ages and included David and his three teammates who were competing in the 60-64 age group. The nearly quarter of a century World Record Time of 9:33.95 has been held by the Netherlands since 1992. While breaking such a long- standing record seems astonishing, Schmanski may be the man to help his team do this, having recently broken a 28-year- old state record for his age group for the 400m at the KY Bluegrass State Games in Danville, KY. David dashed onto the track scene in his first ever National competition when he won the 2014 Outdoor Masters Championships in the 400m, 800m,1500m, 4 x 400m and 4 x 800m. He bested the Former World Champion and current World Record holder, Nolan Shaheed, in the 800m & 1500m . Schmanski is also a 13 time USATF All-American in the 50m,100m, 200m, 400m, 800m, 1500m and 1 mile. In 2014 he was also a 14 time State champion in those same events in KY, TN, and IN. In March of this year, Schmanski won the National Indoor Championship for the 800m. Schmanski expressed confidence in the ability of his teammates, all World Class Masters' level competitors. Two of them George Haywood and Horace Grant, both race together and against one another with their team, Houston Elite. Haywood met Schmanski at the 2014 Nationals Masters' Championships in Winston-Salem NC, and asked him to join their team. Their fourth member, Steve Chantry, also pursued by Haywood, agreed, and the relay was in play. The competition near Washington DC, since not a national competition, required a great deal of preparation for a World Record Attempt with proper accreditations and approvals to meet the USATF requirements. teammates have been running for over 40 years. "The understanding and true genuine concern was overwhelming and incredibility motivating and inspiring," said David Schmanski who was determined not to let his teammates down a second time. The next attempt would be at the Masters' National Championships in Jacksonville, FL July 23 -27. A much easier venue, since no additional paperwork, or authorizations would be necessary at a meet of this level. Although getting back in shape to a World Class level in less than three weeks from a lower back disk injury seemed insurmountable, David was determined to give it his all. He consulted Nashville friend and National Champion, Daniel Smithhisler, and convinced him to help. David, who normally trains at the track 1 day a week, was pushed to 3 days a week and combined with physical therapy, chiropractic care, and TENS therapy, molded his running form back into shape. The day of the meet arrived and David was questionable at best. Again two of his teammates were flying in solely for the 4 x 800m WR attempt. Sleeping with ice and a heating pad the night before the event did not leave one with great expectations. David gave up the 400M and 1500m events with the hopes his back could hold up for the WR attempt. He did want to test his ability and decided to attempt the individual 800m event, which was 3 full days before the 4 x 800m relay. Horace Grant, the current indoor World Record holder, and teammate would provide David with a great gauge as George was also running the 800m event. On that misty Thursday morning as the starting gun when off, David ran side by side with Horace the entire race, and opened up a 3 sec lead on the final 100m to win the National 800m Title with a time of 2:21 to Grant's 2:24. Sunday Morning arrived. Schmanski, wearing his trademark knee braces and newly acquired back brace, lined up for the first leg of the four man relay. Doubts arose when the event was greeted with 14MPH head winds on the back straight-away. Schmanski delivered a blistering 2:18, Haywood followed with a 2:26, Chantry also delivered a 2:25, and Horace Grant drove it home with a 2:21. eclipsing the old World Record by over 3 sec at 9:30.92. 1954 Chevy that has been garaged for 58 years. "All the other guys have a lot more wear and tear. I look forward to absorbing the wealth of experience that these great athletes are so generous to share. I cannot say enough great things about the USATF and the wonderful Men and Women who compete." David Added, "If you want to really enjoy the competition, you should only compete against yourself. When you compare yourself to others, you are only bragging or complaining"
David has decided not to attend the World Masters competition in Lyon, France, which he was scheduled to compete in. He said there is always another day and always another race. He just needs to heal and enjoy his World Record and National Title. I ws 52 and had not run track since 1975 at the Ohio High School state championships. Four years ago the State Finals were held at Battle Ground Academy High School and I lived about 2 miles away. I was 52 and had not run track since 1975 at the Ohio High School state championships. I went to the event, took my stop watch, and got an idea of what it would take to be competitive. I started that July and worked all winter and spring to get into shape and to develop some speed. I am a sprinter that does the 100, 200, 400 m races. I was ready to qualify at the regionals and the Nashville flood showed up and we were cancelled and automatically qualified into the State Finals. That was great, but I had no times on the books. So, I went to a race in Kentucky on a lousy wet cold day and ran a couple of races to get a baseline. With that done, I could plan my training accordingly. I ran well at the first State Finals and have been in three. I have won 5 golds and 3 silvers in 3 years. FAITH! I really enjoyed the 2012 TN State Finals held in Franklin, TN this July. FAITH! I really enjoyed the 2012 TN State Finals held in Franklin, TN this July. The staff and participants were very friendly and the event was very well organized. It was very much mixed emotions as I was still in the healing process for my hamstring. The week of Finals I was not going to attend. I started asking friends and Family to pray for these legs. :) I finally decided to make the trip to Franklin and allow the legs to either tell or stop the story. On Friday I walked the track at Battle Ground praying and praising. On Saturday,. I found myself slightly intimidated as I observed the competitions long swift strides and unsure of how my hamstring would react. Well as I told everyone that would listen, I was going to give my hamstring all it could take and let what happens happen. The track events found my hamstring in God's hand as I managed to qualify for Nationals in all 5 events. I was awarded 2 Silvers and 3 Bronze. (TRY THESE 3 WORDS) FAITH, PRAYER AND WORK! GOD IS AWESOME! After over 20 years disabled with MS, I began working out at a gym, which led eventually to entering the Tennessee Senior Olympics. I just finished the nationals in Houston with a medal and 3 ribbons in track and field. But the best part is all the friends I've made across the state and now the nation. Looking forward to seeing my TN friends for the 3rd year this coming week. Paul was a winner at times during the games, but finally lost a battle to cancer years later. My friend, Paul Roberts, a local radio personality in Chattanooga asked me to play golf with him in the 1998 Tennessee Senior Olympics. Paul didn't place that year, but I managed to win the Gold Medal and it started a long golfing friendship with him that lasted several years. Paul was a winner at times during the games, but finally lost a battle to cancer years later. We won many other golf tournaments together and some of our best fun was at the Tennessee Senior Olympics. I continue playing in the games to honor his memory. I also play for the spirit of competition and to keep active. I once drove a par four green because Paul told me to "go for it." The friends I play golf with today, over 27 years, are people I met on the golf course and in the games because I decided to get off the couch and go play. I may not be a winner all the time, but I'm a participant every time in the senior games because I chose "to go for it". Now, at age 50, I finally get to participate in the swimming events! I've been looking forward to the Senior Olympics for the past 5 years. Now, at age 50, I finally get to participate in the swimming events! I have had to train alone since no one in my county or district competes in swimming events. However, after all of those long and lonely hours in the pool, I will get to share my love of swimming with other lively seniors from across the state. I can't wait until the July competition! I would have never met Jan who lives an hour away from me if it had not been for Tennessee Senior Olympics. In 2002, I sat across the table from Jan Saunders of Sunbright, TN at the senior awards' luncheon. I was alone as my doubles tennis partner did not come. Jan was alone for the same reason. The luncheon ended with the state official telling us to play together as we had both qualified. That was the beginning of a long lasting partnership. We also combined our efforts and published a book together called Shira's Song. I would have never met Jan who lives an hour away from me if it had not been for the Tennessee Senior Olympics. We roomed together for events and we wrote a book and now Jan comes to Fairfield once a week to play tennis with a group we are both members of. We have partnered in USTA events and have won medals in local and state levels. Thanks to the Tennessee Senior Olympics we have more than a tennis love relationship. I retired in 1997, so I could play more! 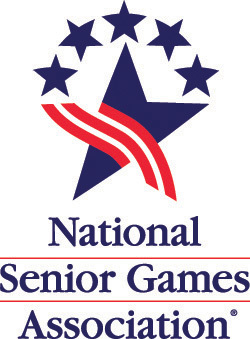 I became involved in the Senior Games in 1993. At that time I was still employed as a church secretary. I retired in 1997, so I could play more! I have made so many good friends through the years. I have also attended all the Nationals since 1995 in San Antonio. My best sport is horseshoes, but my favorite is basketball. This year my 49 year old son Michael joined me in playing table tennis. I love the games and can't imagine my life without them. Thank you for all you do for seniors to help keep them healthy and active. I plan to compete until I'm 100 - so far, so good. A couple of years ago I was on the operating table with open heart surgery on the District qualifying date. A couple of years ago I was on the operating table with open heart surgery on the District qualifying date. Naturally, I didn't get to qualify for the State Finals. So I just attended with my wife, Jane, who did qualify and participated. Some old Coots moving around getting ready. One said: "Hey, Wade, we missed you at District. Where ya been?" Well, I told them, "I had three bypasses with open heart surgery." Somebody in the group said, "Heck!I had 5 bypasses and a new hip put in, where's the discus?" I didn't even get to have a pity party. Go getum old Coots.